We're looking for PE Specialists to join us! If you have experience in working with children and would like a career in Physical Education then contact us. 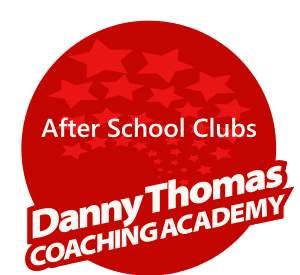 The Danny Thomas Coaching Academy, based in Bournemouth, Dorset, deliver high quality and professional physical education programmes to schools, families and local authorities. Our goal is to create an environment where children can live a healthy and active lifestyle, for children to achieve and be inspired. Coaching thousands of children between the ages of 5 to 14 years old every month, we offer the chance for children to develop an understanding of sporting activities. We work with and mentor teachers in primary schools delivering our Teacher Support Mentoring Programme. We also run holiday clubs, weekend clubs, early-years sports and extra-curricular activities. We are expanding and are looking to recruit experienced coaches/mentors to be able to deliver our newly launched Teacher Support Mentoring Programme and other coaching sessions across all our activities. If you have a passion for physical education and you can engage with children and set yourself the highest standards, then we would love to hear from you. In return we can offer a competitive salary, excellent opportunities for personal development, access to training and learning new skills, backed by a supportive and experienced management team. Find out more about our Teacher Support Mentoring programme here. Salary: £10.00 to £20 per hour depending on experience.